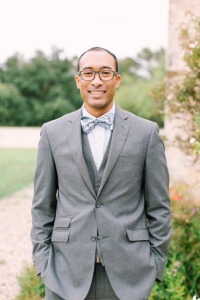 DJ Floyd Banks has done over 200 weddings with Hill Country DJ, and was the first DJ to join the company. Floyd has degrees in Mathematics and Radio-Television-Film from the University of Texas at Austin. Floyd loves cycling, soccer, and other outdoor activities. He has a superior knowledge of all genres of music, especially the 80s and today’s hits. Floyd will mix live at your event to keep the party going all night long. If you’d like to check his availability please click HERE.